If you love football then you surely have a favorite club which you have been supporting all these years, isn't it? Lionel Messi, who is now 30 years old have been playing for the Spanish giants Barcelona since he was of the age of 13 years. Recently, there have been rumors that Messi is looking for a new challenge outside Spain. But we think that will not happen anymore because of 5 different reasons and all of them as solid as the other. Let us have a look at these solid top five reasons in the section below, shall we? At Barcelona, Messi has been the most important player for more than a decade now. With top players like Zlatam Ibrahimovich, Luis Suarez etc. all had to change their style of play so that they can coordinate with Barcelona’s all time favorite player. Messi have been enjoying the top spot in the team with absolutely very few games which he misses due to injury or personal reasons. Well, apart from playing 90 minutes on the field, all players have their rest of the day to spend outside the field. In Messi’s case, his family has been well settled in Barcelona, which is one of the most important cosmopolitan city in the world. 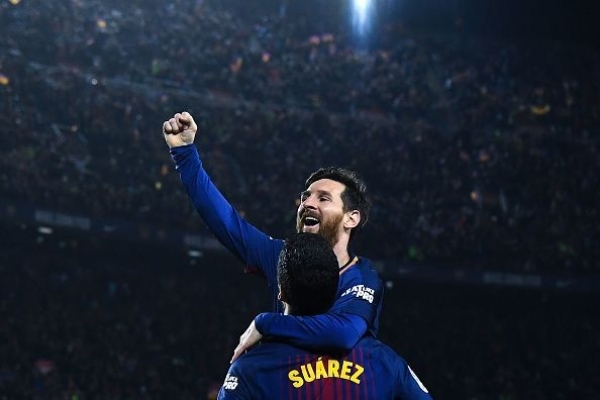 Barcelona has also rewarded Messi over the years, handsomely with his net worth around $300 million and handled his immense playing fees perfectly. Messi has been one of the most successful goalscorer in La Liga and all time leading scorer for Barcelona. With an age of 30 years and not much time left to put an end to this goal scoring haul, Messi would want to stay in Barcelona and depart from the club by making some more amazing records. Who does not want to depart as a club legend? For almost 17 years Messi has been an important driving force of Barcelona’s success in the world stage. He has been given the captain’s armband as well and therefore he has an immense amount of responsibility towards his childhood club and in the last stage of his career he would no want to abandon it. As we mentioned that Messi has been playing for Barcelona since he was a child of 13. The club has supported him as throughout his career and also provided his family with everything. Therefore it is very obvious that a player would get emotionally attached to his club. Similarly, Messi is very much attached to Barcelona and won't surely leave the club in the coming years if his career. So if you are a Barcelona fan then do not worry! Your star Lionel Messi would be your superstar for the coming years!